The race to the moon was barely over when the United States suddenly found itself in a new competition; one to establish a permanent long-term human presence on the high frontier. The Soviet Union had given up on its aspirations to plant the Hammer and Sickle in the lunar dust when their gigantic lunar booster, the N-1, had failed for a third time. Instead, they had forged ahead in the field of long duration spaceflight, with their sturdy Salyut series of space stations. Having won the moon, NASA’s senior management returned to the competition, this time with their own space station, the mighty Skylab Orbital Workshop. Taking full advantage of the massive lifting power of the Saturn V launch vehicle, the engineers in Huntsville and Houston turned the shell of a Saturn IVB into the largest pressurised and habitable volume to ever fly into space. But ambition comes at a price. No sooner had the enormous Saturn hauled its payload aloft than things began to go wrong. Designed to be powered by a pair of huge solar panelled wings the workshop arrived in orbit with one wing clipped. The first crew to board Skylab, veteran moonwalker Pete Conrad and his companions Joe Kerwin and Paul Weitz, suddenly found themselves having to unlearn their mission plans and hastily put together an audacious rescue, to save the multi-million dollar project. The mission of Skylab 2 was the forerunner of all of NASA’s subsequent orbital repair missions. Conrad, Kerwin and Weitz proved to the world that astronauts could conduct long and ambitious repairs in space and go on to fulfill many of their original scientific objectives. They also established a new record for the longest time in space for a U.S. space mission, remaining in orbit for almost a month. This is the story of the beginning of the colonization of space. 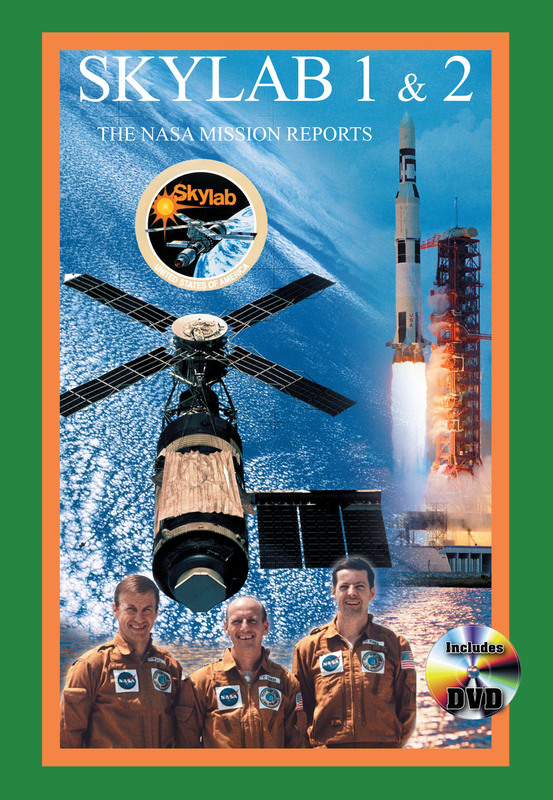 For space fans and engineers, a companion DVD is included that features spectacular video of Skylab from the NASA archives.